Former Rancho Palos Verdes Mayor Larry Clark devoted his final years to service with the Pancreatic Cancer Action Network. Former Rancho Palos Verdes Mayor and California Coastal Commissioner Larry Clark passed away May 2, at the age of 69, following a valiant, five-year battle against pancreatic cancer. During those years he became an inspirational ambassador for the Manhattan Beach-based Pancreatic Cancer Action Network. Clark’s two decades of public service were marked by thoughtful decision-making, delivered in his trademark authoritative tone. Clark also had a distinguished, 40-year career with the federal government managing national and international defense space, communications, and information systems for the Air Force, Department of Defense, National Reconnaissance Organization and NATO, spending time with the latter organization at its Brussels headquarters. 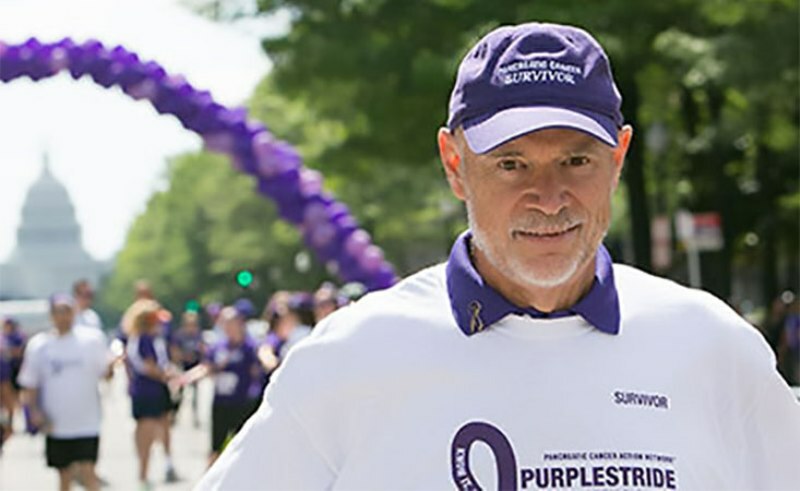 A five-year, stage IV survivor of pancreatic cancer, he successfully endured no fewer than nine recurrences of the particularly virulent form of cancer. He attributed his success at beating the odds to survive the cancer for as many years as he did to his “dream team” of doctors. Clark possessed an irreverent sense of humor and loved doting on his two beloved corgis, Milo and Katie. He also enjoyed a good meal and a glass of wine (or two) at one of his favorite places, Terranea Resort, which as a Rancho Palos Verdes Councilman, Clark helped shepherd through the challenging entitlement process. Clark earned bachelor’s degrees in psychology and sociology from California State University, Fullerton and an MBA from California State University, Dominguez Hills. He was twice elected to the Rancho Palos Verdes City Council in 2001, twice served as mayor and was twice appointed to the California State Coastal Commission. He served on the panel from 2005 to 2009. Clark was married for 24 years to his wife Becky, an attorney for the Housing Authority of Los Angeles, whom he regarded as his best friend. The couple married on Jan. 16, 1994 exactly 12 hours before the Northridge earthquake at La Venta Inn in Palos Verdes Estates.